Christmas is officially less than a week away. Who’s been a slacker like me, and put off things ’til the last minute? 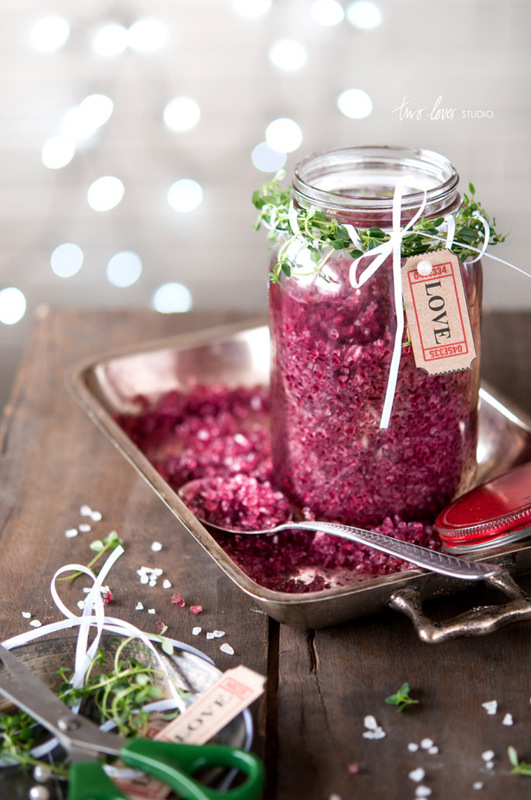 This weekend, I was scouring the web for new, fun and creative ideas for DIY edible holiday gifts. 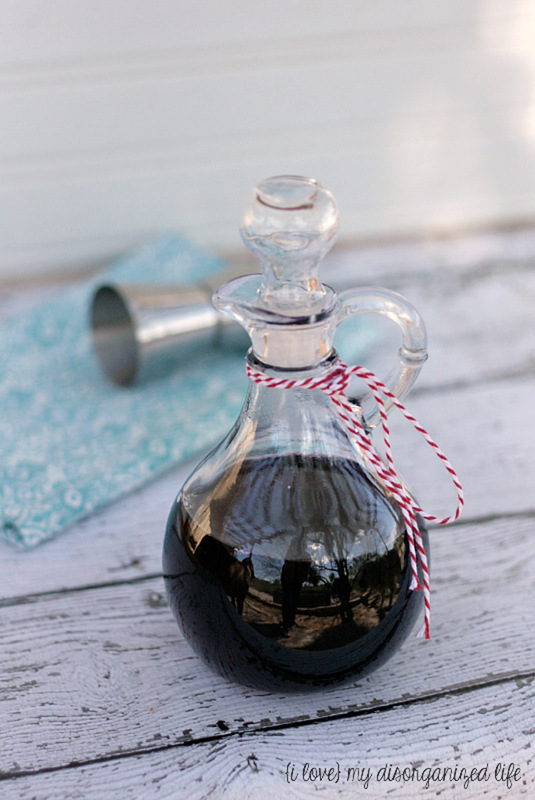 Typically, I make vanilla extract and treat my friends each to a bottle for Christmas. It’s always been a big hit, and it’s simple to make, but it takes at least a month for the extraction process to complete. This year I was in desperate need of ideas for quick and easy gifts. I’m not wanting to do a lot of baking, but I want to give gifts that are appreciated and cute too! 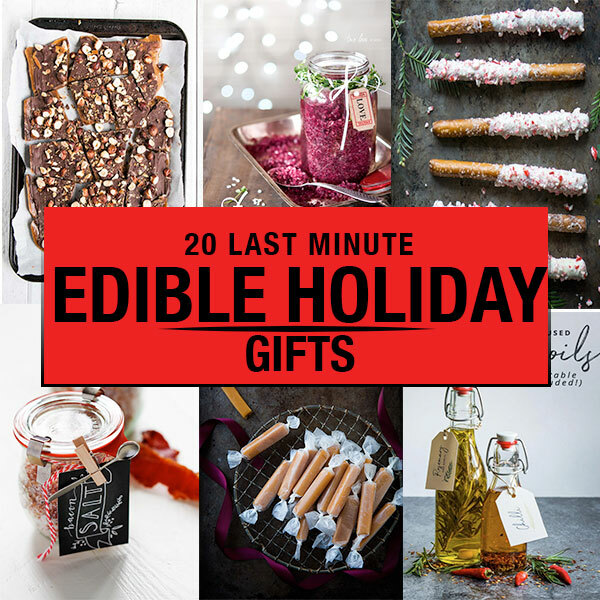 The 20 edible gift ideas below are all on my radar… They can be made in an afternoon, the day before Christmas. Which would you choose? 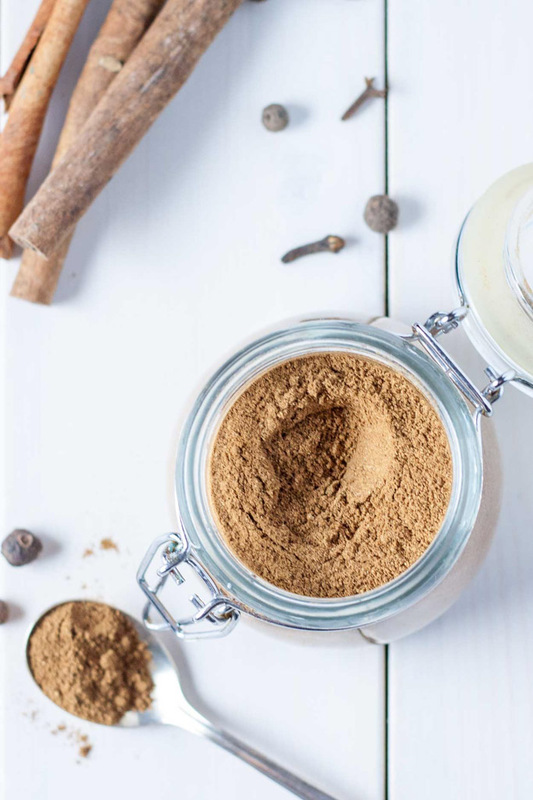 Homemade Gingerbread Spice Mix from Liv for Cake. Bacon Salt from Platings and Pairings. 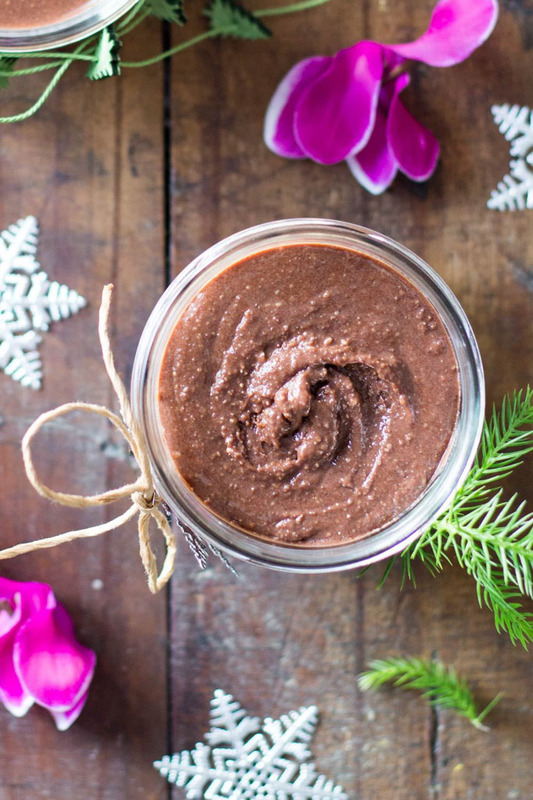 5-Minute Cashew Chocolate Spread from Green Healthy Cooking. 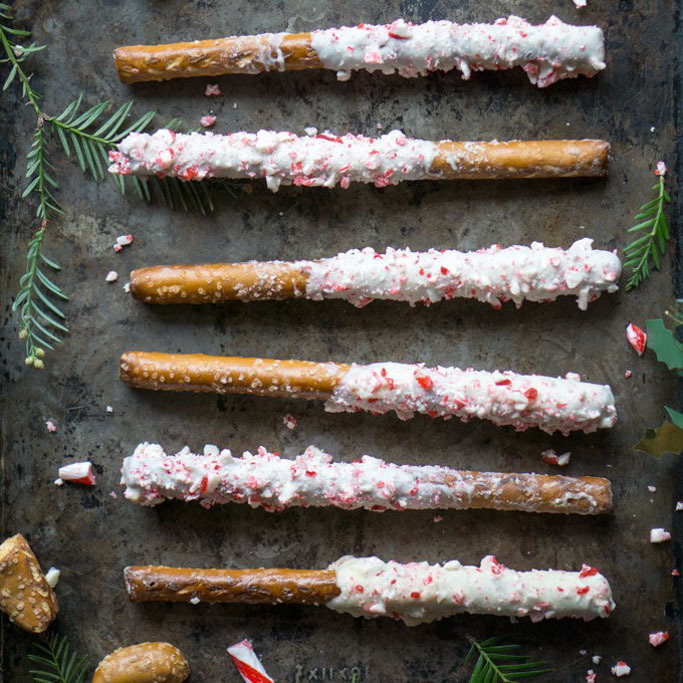 White Chocolate Covered Peppermint Pretzel Sticks from The Kitchen Girl. 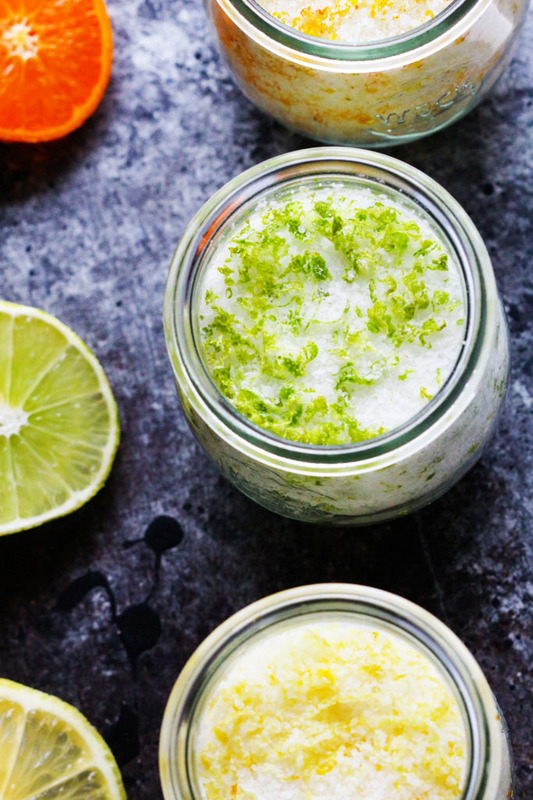 Easy Citrus Salts from Platings and Pairings. 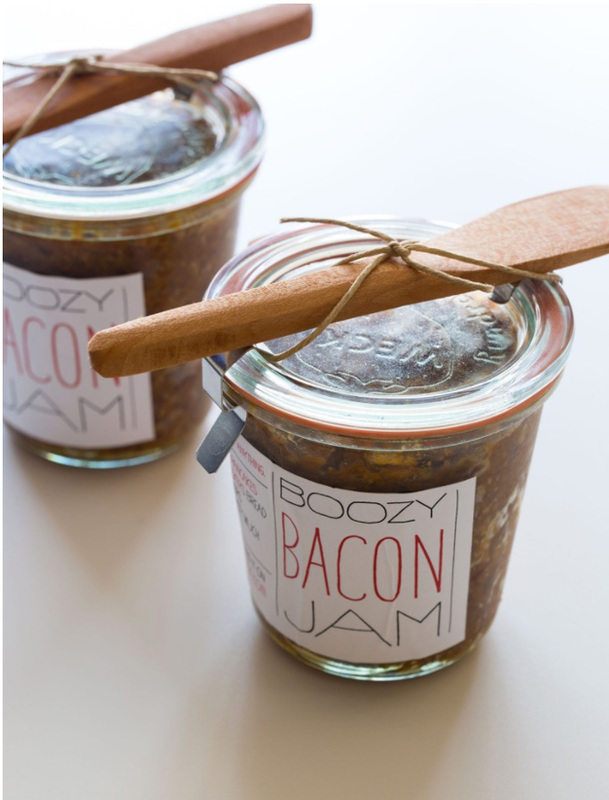 Boozy Bacon Jam from Spoon Fork Bacon. Easy Homemade Grenadine from I Love My Disorganized Life. Red Wine Salt from Two Loves. 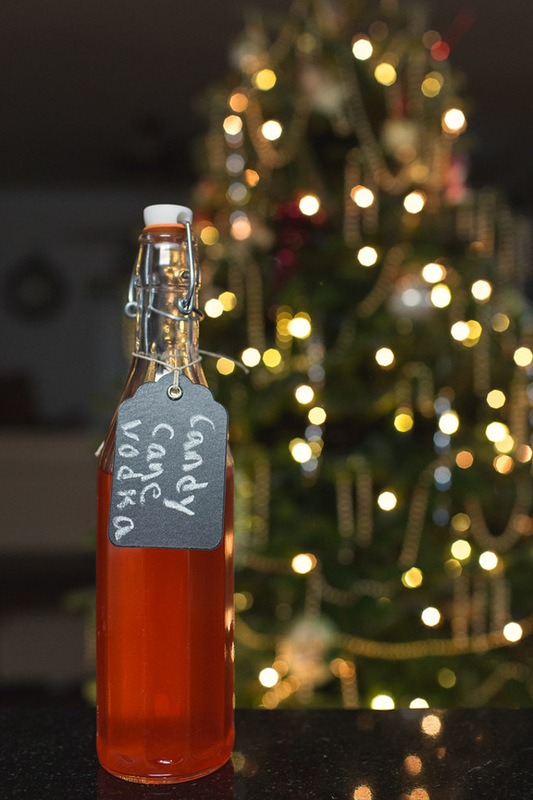 Candy Cane Vodka from Sidewalk Shoes. 15-Minute Salted Caramel Sauce from Platings and Pairings. 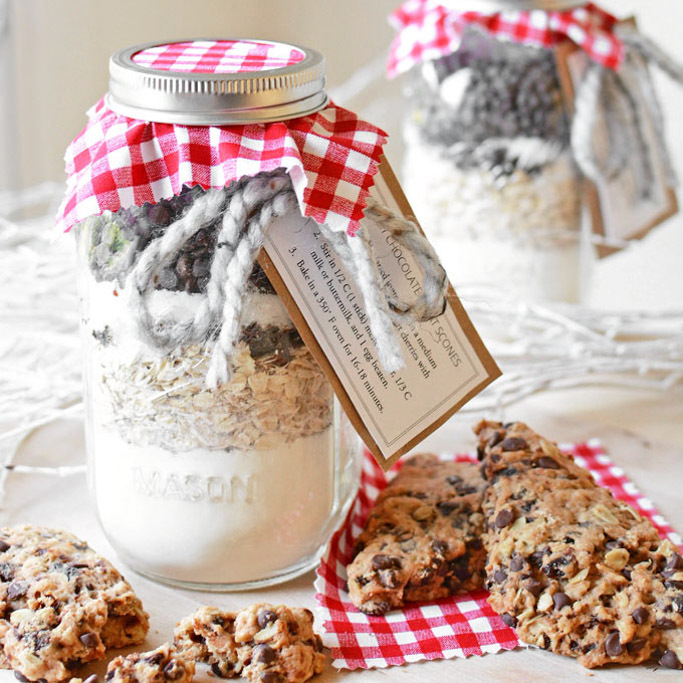 Chocolate Cherry Oat Scones Gift Jar from Simple Seasonal. 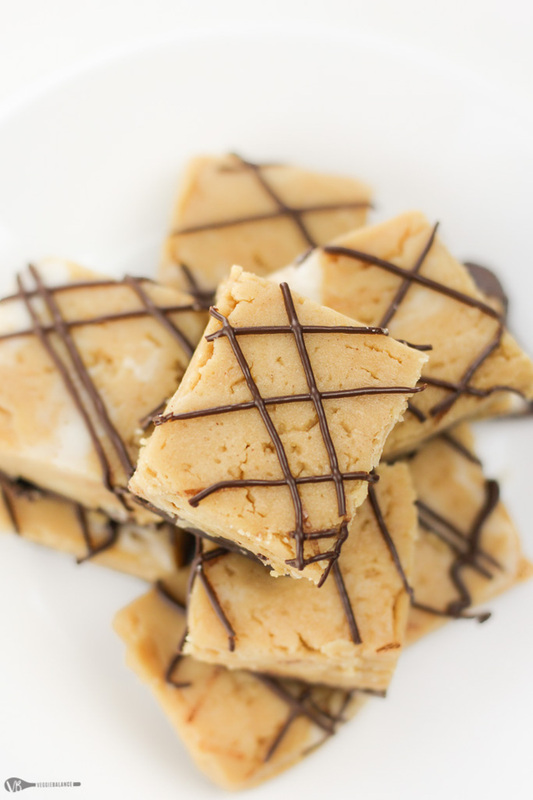 Easy No-Bake Peanut Butter Buckeye Bars from Veggie Balance. 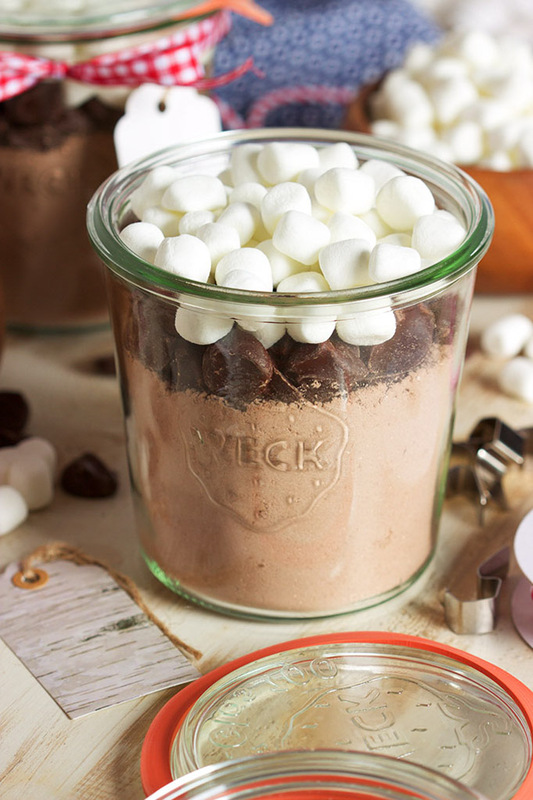 Hot Cocoa Mix from The Suburban Soapbox. 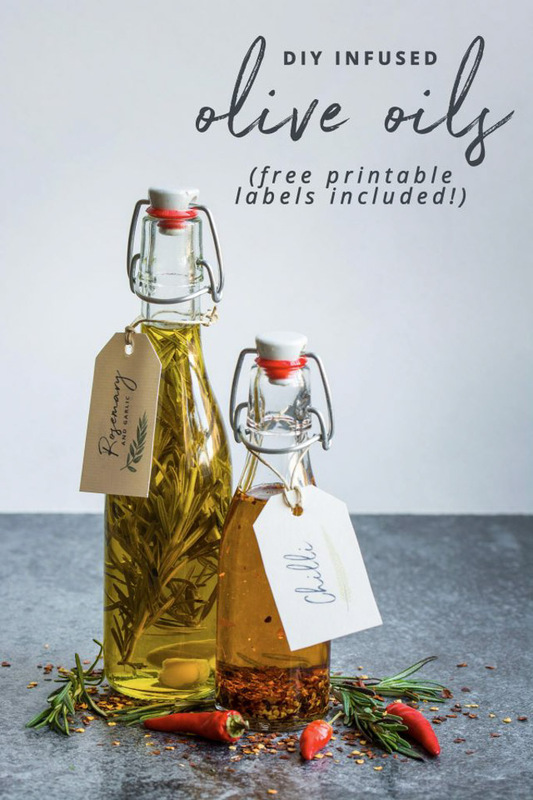 DIY Infused Oils from Lauren Caris Cooks. 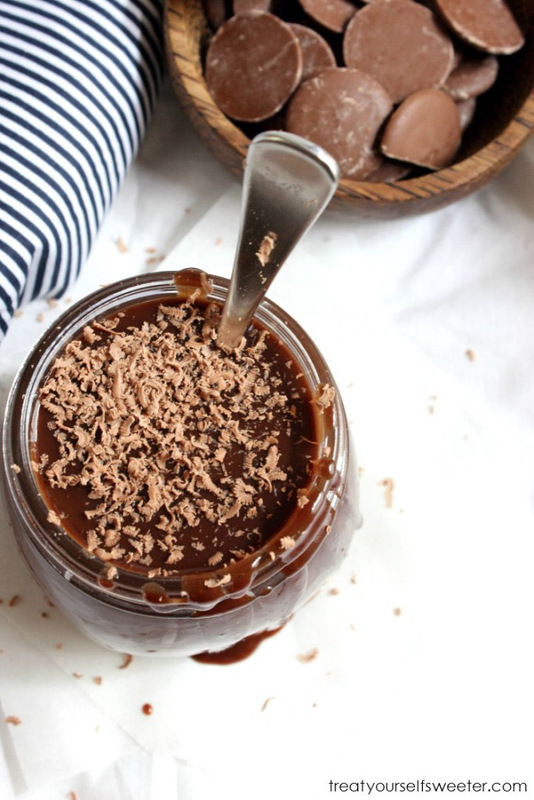 Baileys Chocolate Sauce from Treat Yourself Sweeter. Dry Rub for Ribs from Posh Journal. Coffee Toffee from My Kitchen Love. 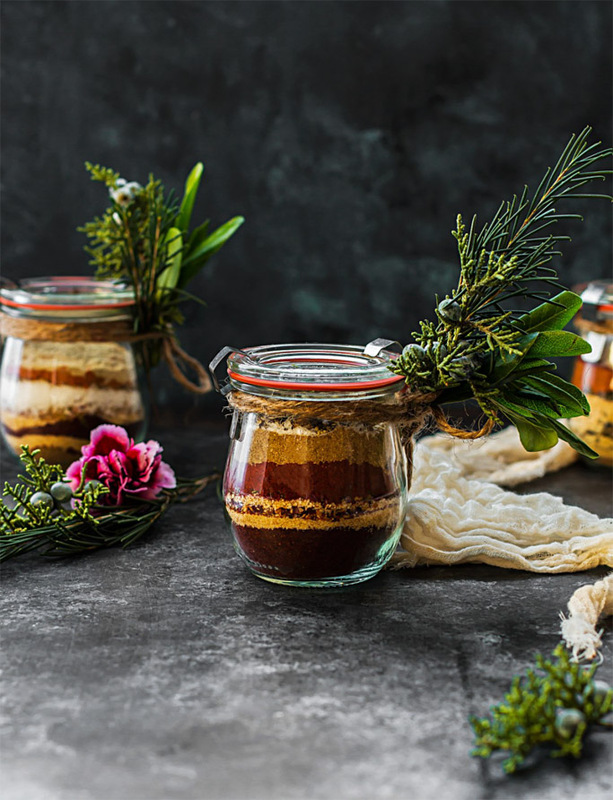 Homemade Cookie Butter from A Beautiful Mess. 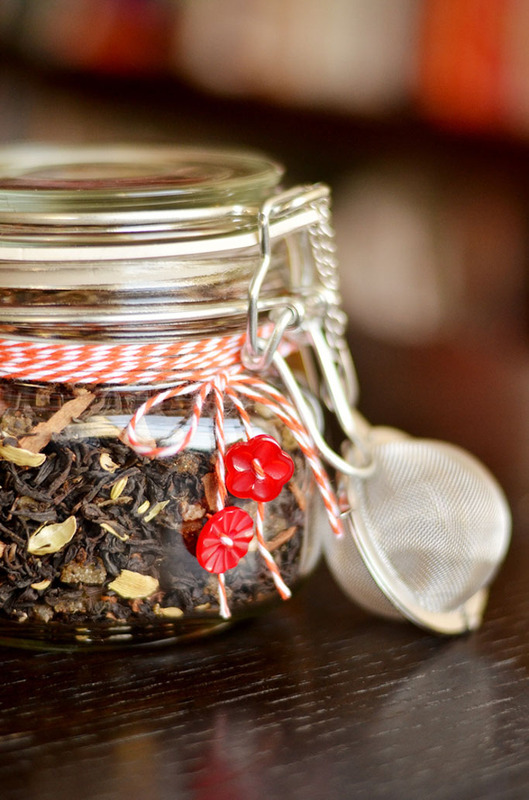 Chai Tea Kit from Buzzfeed. 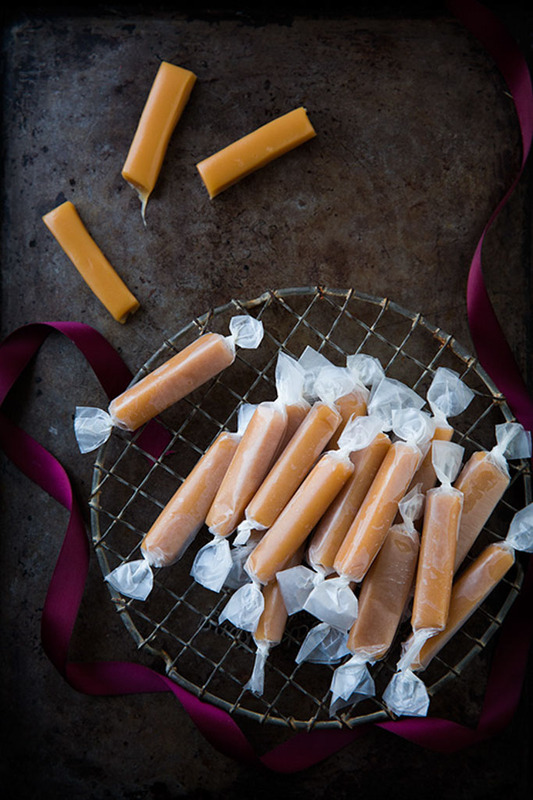 Microwave Caramels from Cooking Classy. 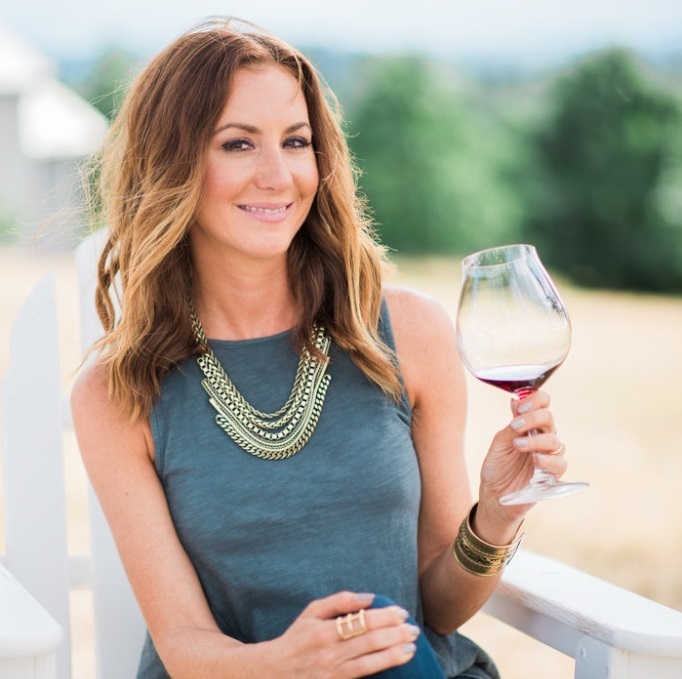 Erin, thanks so much for including me in this roundup! Made my week and it hasn’t even started 😉 Beautiful treats in this post…I’m honored and sharing everywhere. Woohoo…Happy Holidays! Thank you for sharing Traci, and for being a part of this post! Happy Holidays! I agree Samantha – I have been SO last minute this year! Your Coffee Toffee looks absolutely fantastic – Cheers! I would love ANY of these gifts. What a fabulous round-up Erin. Awesome ideas! I want to make that salted caramel sauce right now! These are my favorite kinds of gifts to give (and receive!). These are all adorable!! 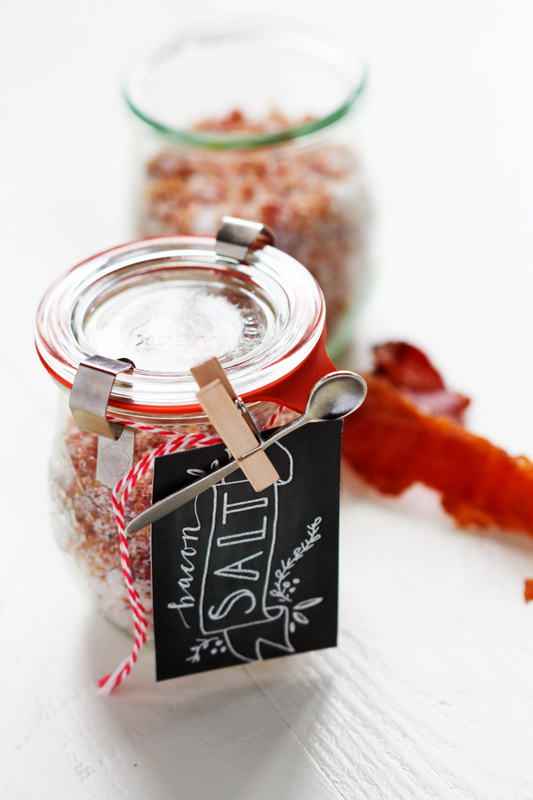 The flavored salts sound so good, and of course people love bacon anything. 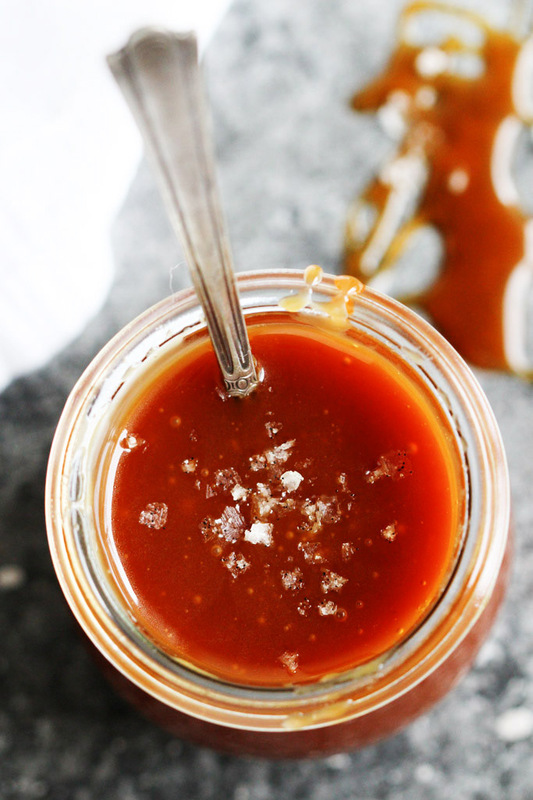 Your caramel sauce looks to die for, too! 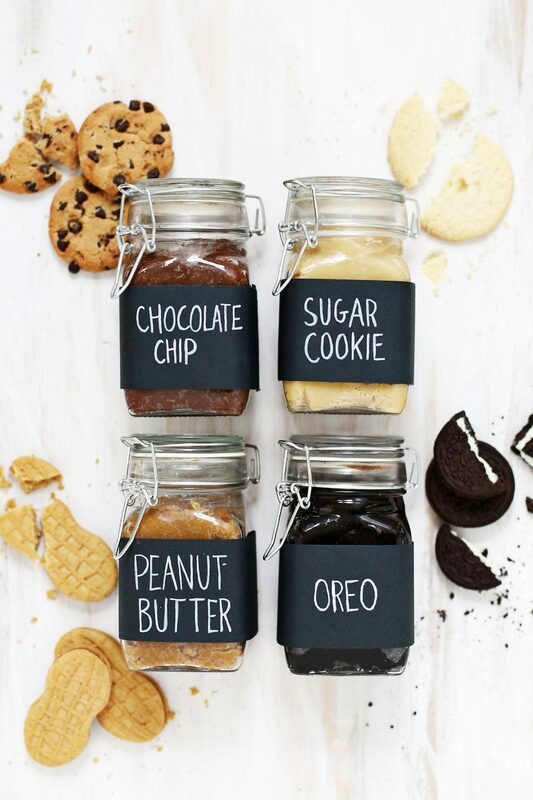 Pinned this graphic for next time I need a great food gift idea! 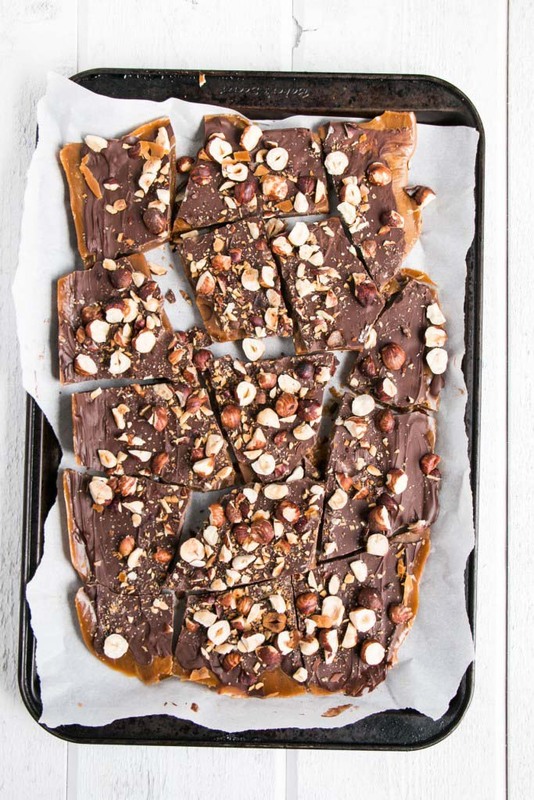 I love food gifts… every year I make holiday candies to share and I am SO behind this year! I think perhaps those microwave caramels may have to be made this week! Can you believe we’re just five days away now?! It definitely snuck up on me too!